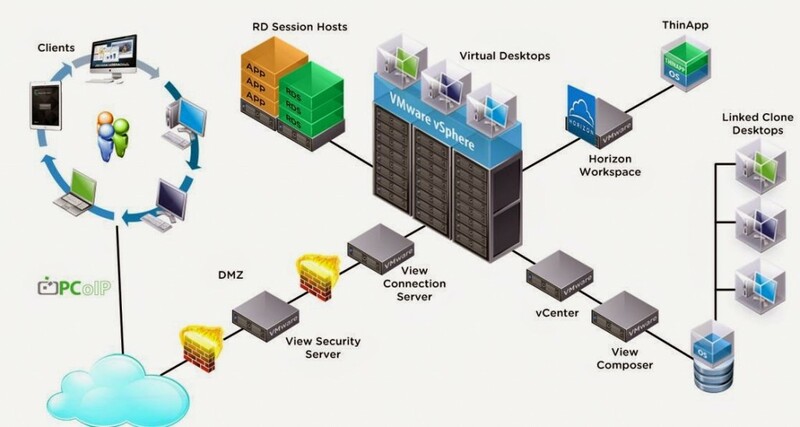 In this blog I will show you how you upgrade your VMware Horizon View environment to Horizon View 6. I will break up the blog in a few parts so that you are not overwhelmed with one big blog. 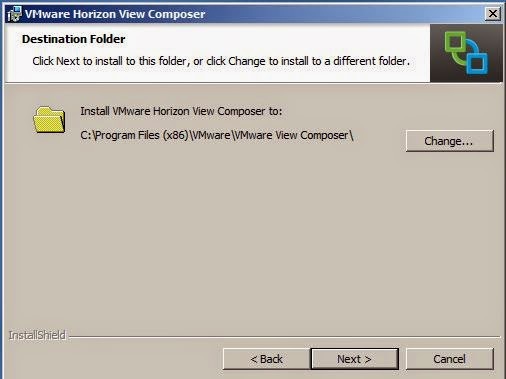 Upgrading a VMware Horizon View environment starts with the Composer, it’s the first component you need to upgrade. 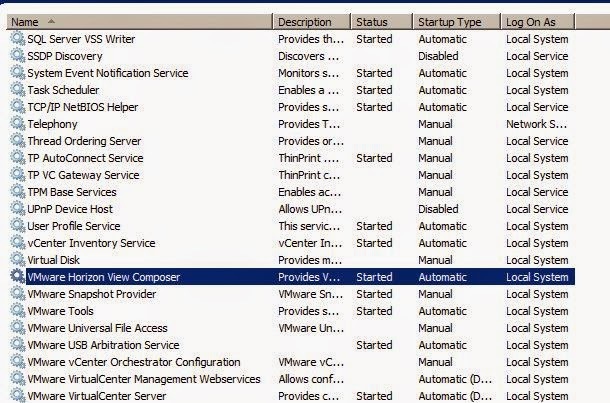 Before you start upgrading the composer you need to make sure you disable provisioning of the desktop pools and switch of refresh of the desktops. Make sure you read the compatibility matrix before upgrading for Composer might be co-hosted on a vCenter server. Below is a picture of the architecture, the composer in on the right side of the picture just next to the vCenter server. 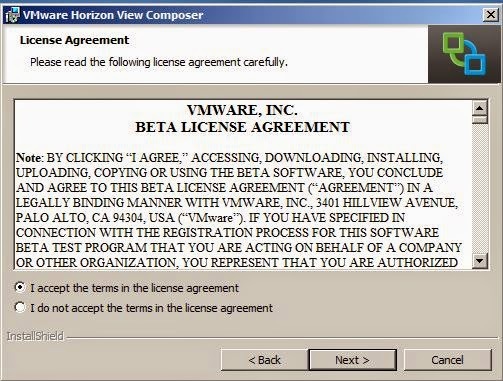 The composer is responsible for composing the desktops and will give commands to vCenter. It’s not that strange that composer is the first component you need to upgrade, when you look at the position composer has in the environment it has a primary role. 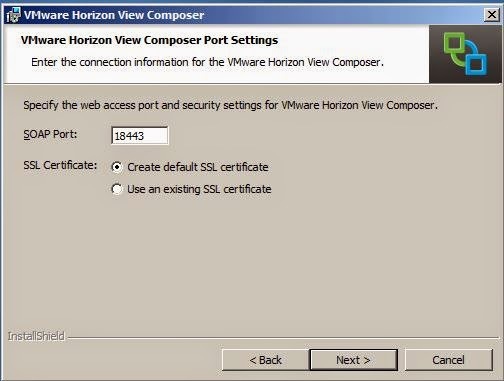 This blog article will handle the upgrading of the Composer, the very heart of the VMware view environment. Why not a new install you might wonder, I had a 5.3 environment running and I thought that many customers out there will be at that point. I get the question a lot on how much time and effort it takes to upgrade environments. A new installation is easier and has less impact, so I chose to write about the upgrade. Still this upgrade was done is a lab environment with a nearly clean database, so to compare this with a live environment would be a bit too much I know but at least you will see the steps it requires and be able to make a plan for your own environment. 4GB Memory required, 8GB with 50 vm’s or more. With vCenter 5.5 there is no Oracle support anymore. 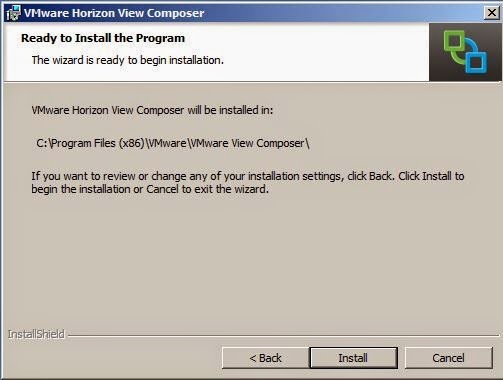 The upgrade is fair and simple, start the installer and follow the wizard will do just fine. Before you do the upgrade make sure you disabled refreshes on the pools and disabled provisioning at all. If you don’t do that your desktop might be in error after you finished the upgrade. 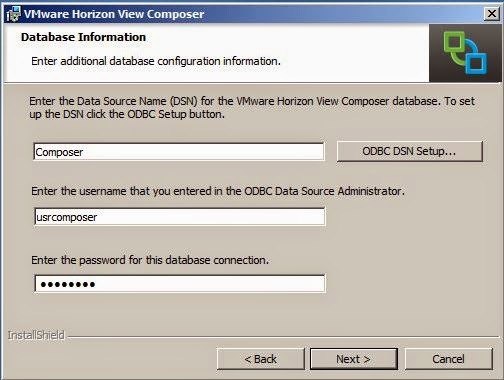 The wizard will fill in the ODBC entry and the username if it find the entry. You need to enter the password to connect to the database. You have the option to create a new SSL certificate but likely you will have a certificate operational already assuming you come from 5.x where certificates were needed also. Click on Use an Existing SSL Certificate and pick the one you’re using now, I forgot to take a screenshot there so you have to believe me on my word that you can pick the correct one there. Nothing else left than to install the software, actually we do an upgrade but that’s not visual anywhere. 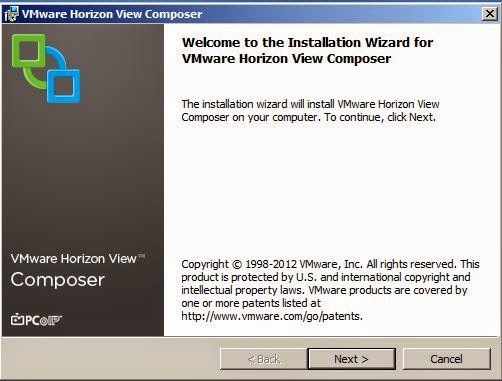 After the upgrade you will notice in the services overview that the composer service is renamed to Horizon view composer. When you received no errors the upgrade has gone well, next step is the connection server. You can now enable provisioning again and switch on the refresh of the pools but I would wait a few minutes if you are going to upgrade the connection server also. Upgrading Composer is a fairly simple process that doesn’t take much time. Make sure you disable provisioning and refresh on the pools for that would cause issues while upgrading. Next step in upgrading is the connection server.